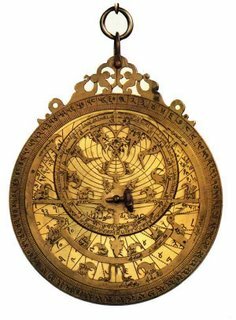 I was especially interested in the reference to Islam’s “golden age” (circa 8th-16th centuries CE) during which Muslim scientists made various vital contributions to the world in the areas of mathematics and astronomy. This, of course, includes the invention of such devices as the astrolabe, pictured above. For more information on Dr. Shukor, Wired published an earlier story about his career as an astronaut.